Win 7, should be reproducible in all Java/Game versions. Any and all Unicode characters that have transparency at their leftmost pixels (Such as ▗,▝ and ▐) don't work when typed into chat or books: Anything to the right of them is not displayed, allowing players to write "empty" messages on chat and renamed items, and preventing them from using them in ASCII art.  This is NOT an issue of them not being supported: their mirrored versions (▖,▘ and ▌) are properly displayed, and one can find them under "glyph_25.png" in Minecraft's "font" folder. To reproduce: Copy and paste "▌This Side Works! ▐This one doesn't." or similar in any text field in-game. Fix provided in this comment.